Following the success of last year's event, Leek HC's Big Weekend and Beer Festival is back in 2019 - bigger and better than ever! ?? This year's event will be held from April 19th - 21st, with lots planned over the course of the weekend. 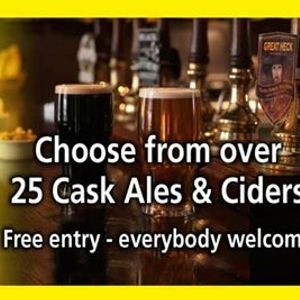 In addition to our vast array of over 30 real ales and ciders, ?? we will be hosting a variety of local stalls, live music and attractions - fun for all the family! On the Sunday we will see the return of our Dog Show with Moorlands Dog Rescue ? - registration for various categories is from 12pm! * Fish & Chip Van ? * Tuck Shop ?? ? Sunday - 12pm till dry!